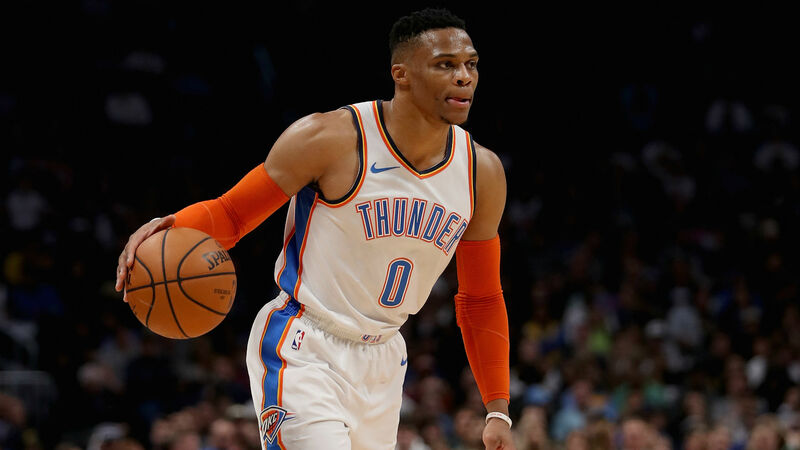 The Oklahoma City Thunder guard recorded his 10th consecutive triple-double on Monday, surpassing Hall of Famer and NBA-redefiner Wilt Chamberlain's record of nine straight, set in 1968. Here's a look at Westbrook's streak with help from Opta. — Over the course of the 10-game streak, Westbrook has averaged 19.7 points, 13.2 rebounds and 13.8 assists. The Thunder have gone 9-1 over the span. — At 30, Westbrook is third all-time in career triple-doubles in his 11th season in the NBA and sits 54 behind career leader and Hall of Famer Oscar Robertson. — Ahead of the All-Star Break, Westbrook is already in the top 10 for most triple-doubles in a season. — Over his 10-game streak, Westbrook accumulated more triple-doubles than all but one other NBA player for the entire season (Nikola Jokic has 11 in 56 Denver Nuggets games). — Oklahoma City are 78-49 (.614) in games that Westbrook records a triple-double. They are 17-6 (.739) in his games with triple-doubles this season. — Westbrook is on a pace to average a triple-double for the third successive season. Robertson is the only other player to have ever averaged a triple-double over the course of an entire season (1961-62).